This may sound lazy to someone who does not use Excel very often, but when you’re a manager and have an Excel spreadsheet in front of you with 50 tabs, that little mouse pointer can start to be a real pain! Anyway, it’s always good to know shortcuts if you can. I’ve been in the situation numerous times where my touch pad died and I didn’t have a mouse laying around. Knowing some slick keyboard shortcuts can make the difference between getting some work done and taking a coffee break. 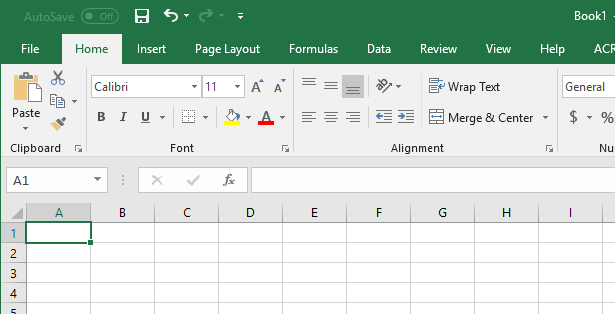 So in order to move through sheets or tabs in an Excel workbook using the keyboard, simply press and hold CTRL and then press the PgUp or PgDn buttons to move from right-to-left or left-to-right! That’s it! If you want to learn more keyboard shortcuts for Excel, check out the Office blog where they have listed over 100 shortcuts. You can also check out my other posts on keyboard shortcuts, including how to right-click using the keyboard, move your mouse with the keyboard, and switch between browser tabs. Any other shortcut you would want to know about Excel? Post a comment and I’ll try to get you the info! Enjoy!